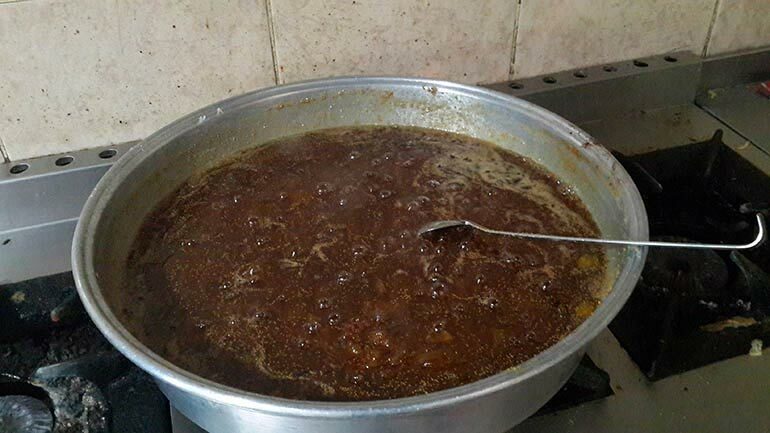 All the jam we serve is made by us since my brother Gokhan said "why are we not making our own jam while we have enough fruits in our gardens" . It was a great idea and serving home-made jam is appreciated by our guests. 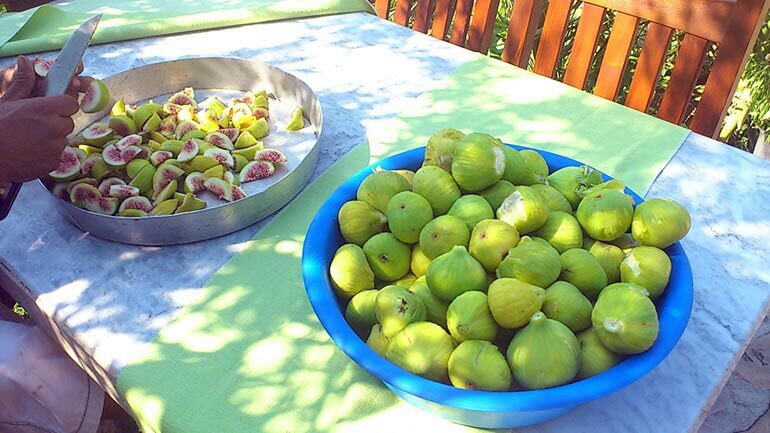 Regarded to the season we have different fruits to make jam like strawberries, apricot and figs. Regarded to the season we have different fruits to make jam like strawberries, apricot and figs. 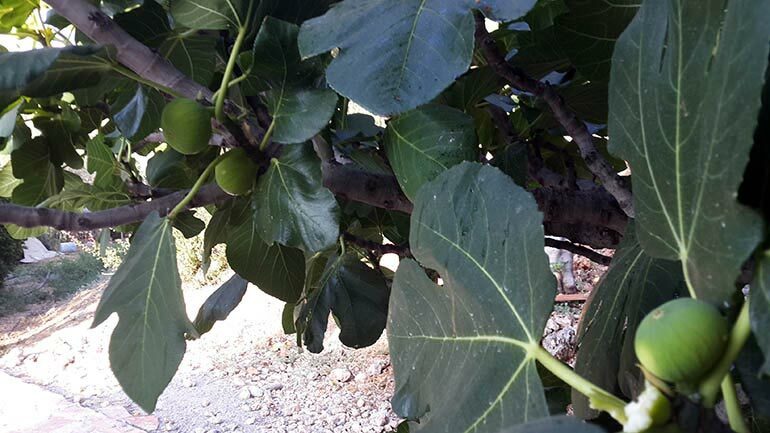 We have 2 big fig trees at our other place where our restaurant is situated and also there is one at the Delfin Hotel. 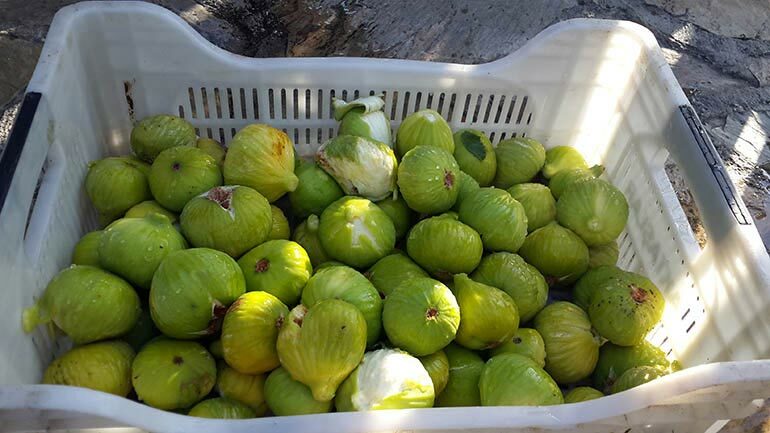 After figs are ready we pick the good ones and wash them. Then all the figs are sliced and put into a wide pot. We add some suger and leave for a few hours in shade to take aroma out. After that, It is boiled until it has the right density. 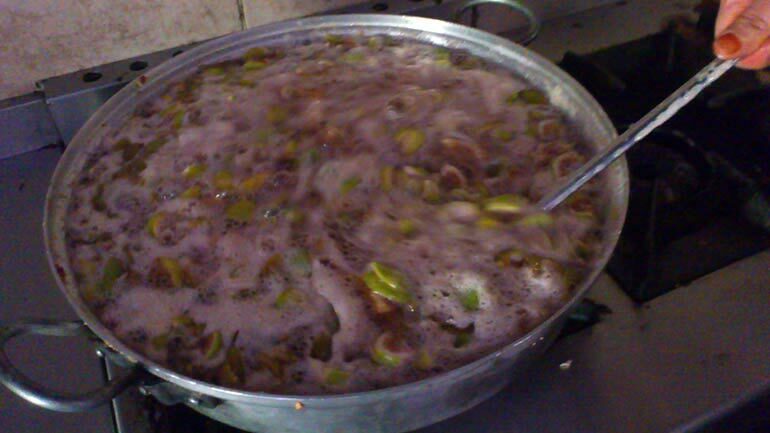 As all of the figs are not ready in one time we need to make jams few times in the season. It is a good thing as we do not need to store a lot of jam and it is always very fresh.